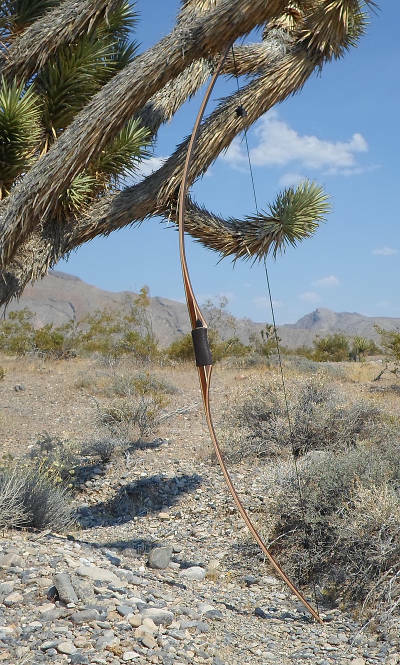 Pup Longbow - This deflex/reflex longbow is 36" or 48" long, with a smooth sleek profile, and is just the right size for kids 6 to 12 years old. Available is draw weights from 10# to 30# @ 24" draw length and can be drawn to 26". Comes with a Dynaflight-10 Flemish string in your choice of colors. 36" is $85 and 48" is $95 (+ $15 shipping). 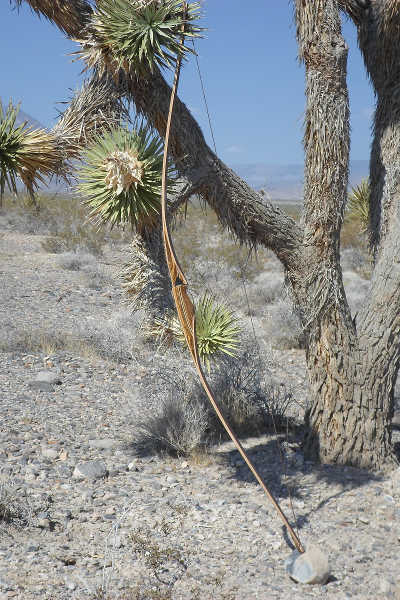 Prairie Predator - the midsized longbow. - My best selling bow. A deflex/Reflex design ideal for any size or age of shooter, slim, light weight and fast. Available in lengths from 52" to 62" and made to your desired draw weight up to 55#. Comes with a Dynaflight-10 Flemish string in your choice of colors. Up to 59" $295 and 60" to 62" $325 (+ $25 shipping). Maddog Mountaineer longbow - A shallow reflex/deflex design preferred by all longbow enthusiasts. 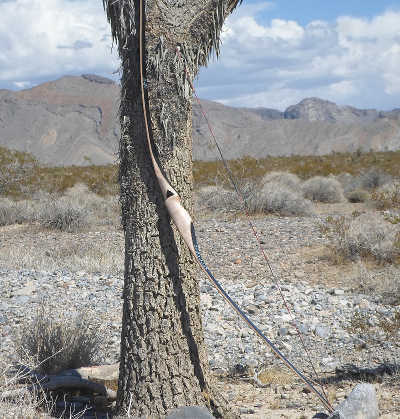 It's long narrow tapering limbs, coupled with a relatively short riser, virtually eliminates stacking and hand shock. 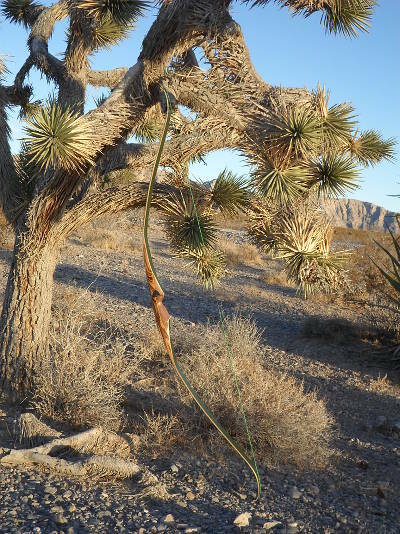 This bow epitomizes our claim of "simple, accurate, and deadly silent". It's available in lengths from 60" to 68" at the draw weight and length you desire. Comes with a Dynaflight-10 Flemish string in your choice of colors. $425 + $25 shipping. The Follower Extreme longbow - As the name implies, it's a string follow longbow, available in lengths from 66" to 69". It's got all the good characteristic of the Hill Styled bows we're so familiar with, but not the hand shock we've had to tolerate. Additionally, it's fast, and smooth. Also available in 2 piece take down. Dyna Flight D-10 string included. $395 + $25 shipping. 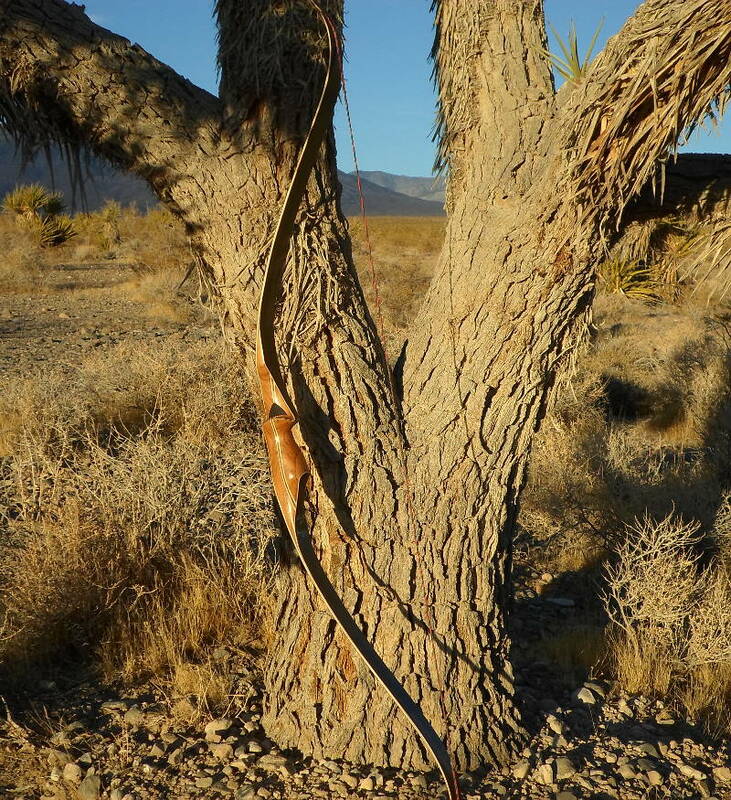 Big Dog 64" recurve - The 64" overall length makes this bow smooth consistent. The profile and grip is reminiscent to the old style recurves. The shelf is cut to center, the tips are reinforced to handle modern string material. 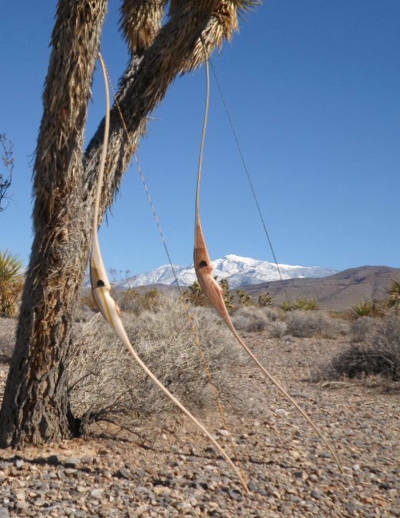 Good choice for target archers and bow hunters who like a smooth, quiet recurve. D-10 string included. $450 + $25 shipping. 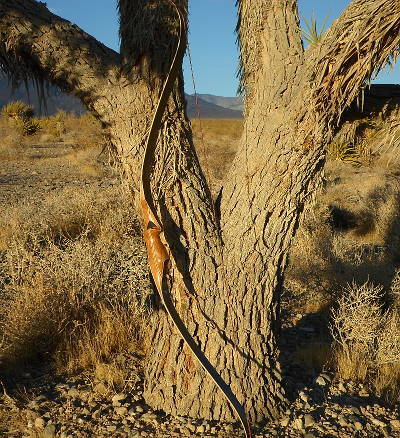 Machete 50" recurve - As the name implies, it's a good choice to take hunting in the thick brush. 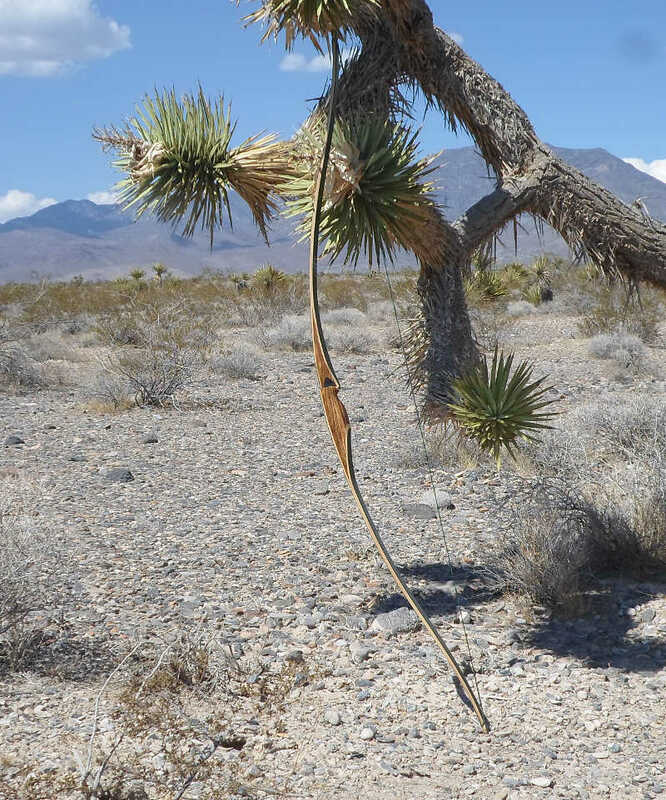 The 50" total length makes it relatively short, but it can be drawn to 28". Compact design makes it ideal for blinds and tree stands. The shelf is cut to center, the tips are reinforced to handle modern string material. D-10 string included. $375 + $15 shipping. Mongrel Hybrid - Maddog Mongrel, this bow is a hybrid, neither a longbow or recurve, but combines the best of both into one. It's easy to shoot, smooth to draw, quiet, and fast. Available in lengths from 56" to 66", it comes equipped with a force 10 string. $450 + $20 shipping.